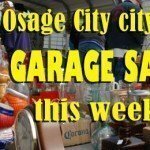 OSAGE CITY, Kan. – David B. Lieber, 57, passed away on Saturday, April 14, 2018, at Via Christi Hospital, Manhattan, Kan. David Bruce Lieber was born March 11, 1961, in Emporia, Kan., the son of William Dean and Joan S. (Skonberg) Lieber. 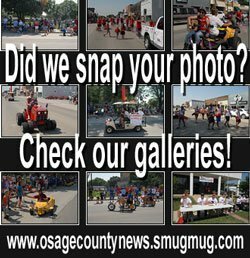 He graduated from Osage City High School, Osage City, Kan., in 1979, and later attended Kansas State University. David worked as a truck driver for several years before retiring to help his Dad run the family farm. He was joined in marriage to Connie Murphy, on March 28, 1992. The couple had two children together, Joshua and Kylie. David will be forever remembered by his wife, Connie, of the home; a son, Joshua Michael (Heather) Lieber, Osage City; a daughter, Kylie Rae Lieber (Aaron Massengale), Ottawa, Kan.; his parents, Bill and Joan Lieber, Osage City; a sister, Cathleen Lieber, Osage City; and three grandchildren, Hayden and Piper Lieber and Brantley Massengale. A funeral service will be held at 10 a.m. Thursday, April 19, at the United Methodist Church, 219 S. Sixth St., Osage City. 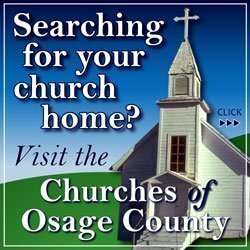 Burial will follow at Osage City Cemetery. Family will receive friends 7-8 p.m. Wednesday, at the VanArsdale Funeral Chapel, Osage City. Memorial contributions may be made to the David Lieber Memorial Fund and sent in care of VanArsdale Funeral Chapel, 107 N. Sixth St., Osage City, KS 66523. Condolences may be expressed at vanarsdalefs.com.